These were the readers who were at the Orchard Spot over the weekend. If you would like to book a private reaing with them please fill out the form at the bottom and we can then arrange a reading for you. 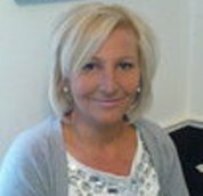 Lisa is a very talented reader based in Meopham, she is albe to do all areas of readings psychic medium, tarot, angelcards, clairvoyance and clairsentence . She always has a heavy work load due to the quality of her readings. Lisa is always very busy at events so why not pre book her. With a very differrent way of working with the Tarot cards you are in the hands of an experienced, accurate Tarot reader, all areas of your life are covered in each reading. I focus on love, work, relationships, children, past, present & future. I will also not ask you any questions about yourself - I let the deck guide me throughout the reading. 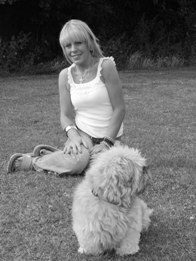 Trudi has attended courses and training in Tarot, Reiki, Channelling, Psychometry, Angel Awareness, Dream Analysis, Meditation, Ghost hunting , Bereavement Counselling, Auras/Chakras and has studied at the Arthur Findlay College of Psychic Science on Mediumship and Psychic Studies . She uses the Tarot Cards together with her psychic skills to offer confidential, down-to-earth guidance on clarifying the past, present and future and believes the wisdom of the Tarot helps guide our higher selves in seeking life's many pathways. Rik is an Astrological Counsellor and Traci is a Professional Tarot Reader they offer a wide range of professional services in their chosen specialisations including:- personal astrological consultations, Astrological compatibility, hand drawn birth charts, Tarot readings and offer Astro - tarot parties. 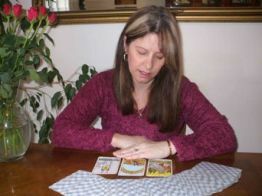 Laetitia has been reading tarot since she was 15 years old. Working predominantly with major arcane she can answer all sorts of questions about relationships, work, and much more. Linking into your past, what is happening around you now and gain insight into possible future events. I have been featured on Take a break, fate and fortune magazine for the past two years. I have also built up a large range of clients in England and in France. Raymond has been psychic for as long as he can remember. He uses his ability to help others, giving surprising stunning and accurate readings. 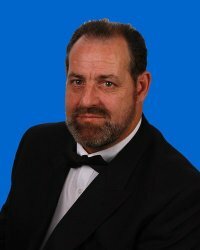 In personal readings, psychic fairs, lectures and shows Raymond tries to maintain the very highest standard of metaphysical entertainment for his clients around the world. Raymond believes that the Angels speak through him and the universe provides for the happiness and prosperity of all people. His gifts give him the unique opportunity to have positive effect on the lives of others. Serving many churches UK wide as well as working internationally Brenda has built up a very loyal following in the psychic world. 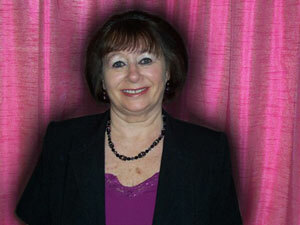 Brenda is also well known for doing evenings of clairvoyance as well as private readings. Brenda's work in America has her serving three churches with a forth being added in 2011. 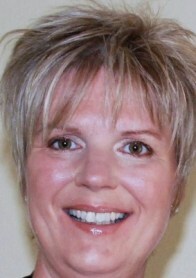 An evening of clairvoyance is also booked for 2011 in the USA. Caroline has been a medium for over 15 years, she joined Maidstone Spiritual Development Center and took up spiritual healing, she discovered she was getting messages for people and progressed her gift from there joing a circle. Giving readings both at home and at fairs she always gets great feedback from whoever she reads for. People are always put at their ease during a reading from Caroline. Connecting in with the beautiful energy of the angels our therapists will administer a relaxing healing treatment. This technique involves gently placing their hands over and around the chakra energy centres within the physical body and auric energy field surrounding your body,to gently cleanse, balance and align. Using an Angelite Crystal pendulum, hand crafted eagle feather fans and crystal healing wands, they will gently soothe problematic areas - helping to aid the body's natural healing process. This technique will leave you feeling wonderfully relaxed and helps to promote healing and well being throughout the physical, emotional and spiritual bodies. During your treatment our therapists may also recieve guiding messages of love, support from your loved ones and guides in the spiritual realms. As a professional medium, with 12 years experience, I use Psycometry and Tarot cards to give psychic empathic assistance. I give platform demonstrations at various Spiritualist and Universal Churches and often work at psychic fairs including large healing festivals. I am a Minister of The Sanctuary if the Silver Cross at the Quaker Meeting Hall on Belmont Road in Uxbridge. To book a reading please fill in the form below with your details and if possible a time you would prefer. We will then contact you to confirm the booking. Please dont forget to add the name of the reader you want to see.